Halve one-third of the snow peas crosswise on the diagonal and julienne the rest. In a saucepan of salted boiling water, blanch the snow peas and English peas until crisp tender, 30 seconds. Drain and rinse under cold water; pat dry. 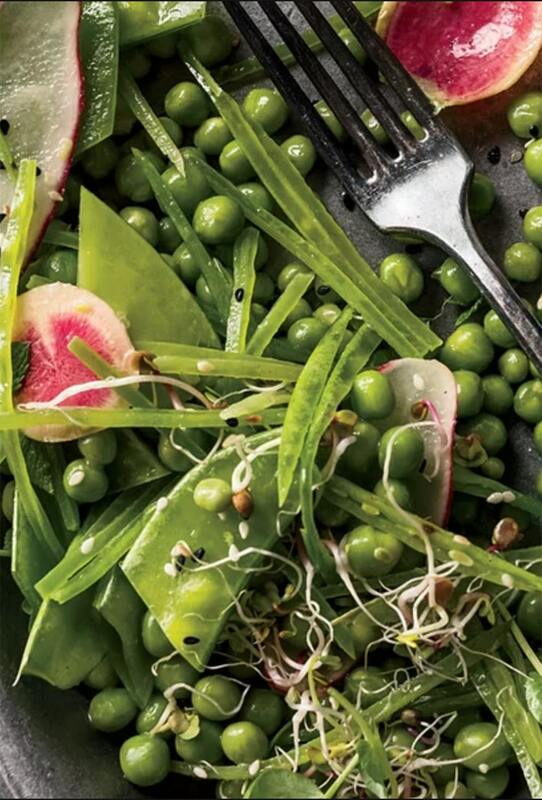 In a bowl, toss the peas with the sprouts, radish, half of the mint and 6 tablespoons of the vinaigrette. Transfer to a platter and top with the remaining mint and the toasted sesame seeds. Serve the remaining vinaigrette on the side.